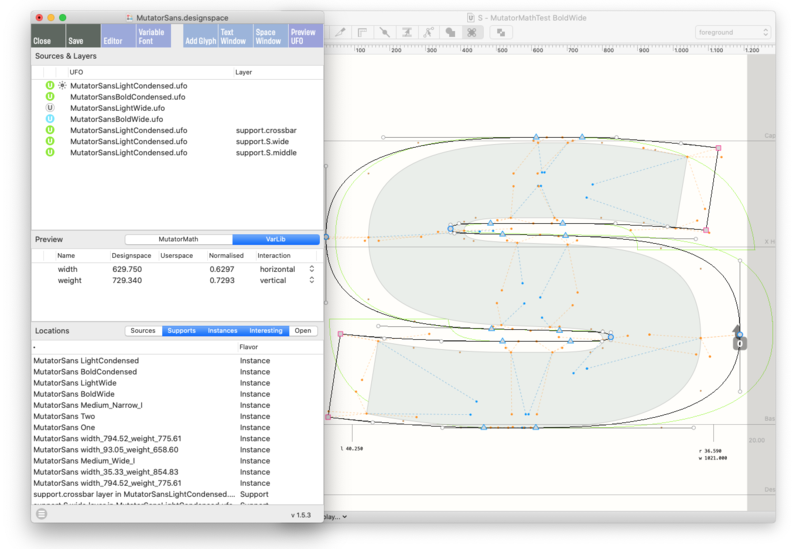 Skateboard is an extension for RoboFont 3.2+. The Skateboard window offers an overview of all the important data: which UFOs and layers are part of the interpolation system, which designspace locations are relevant and a location for the current preview. Interpolation is not just something that happens at the end of a project. A designer needs to see the effects of a change immediately. Especially with increasingly complex designspaces. Skateboard is an extension for RoboFont. It loads a designspace file, offers easy access to its masters and then draws the interpolations. Navigate through complex designspaces, see what you’re doing.